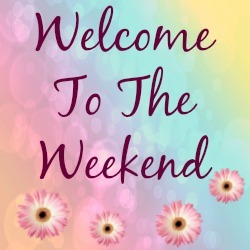 Welcome to The Weekend Blog Hop Link up everyone. How has you weekend been? Good I hope!? We have had a fun week. 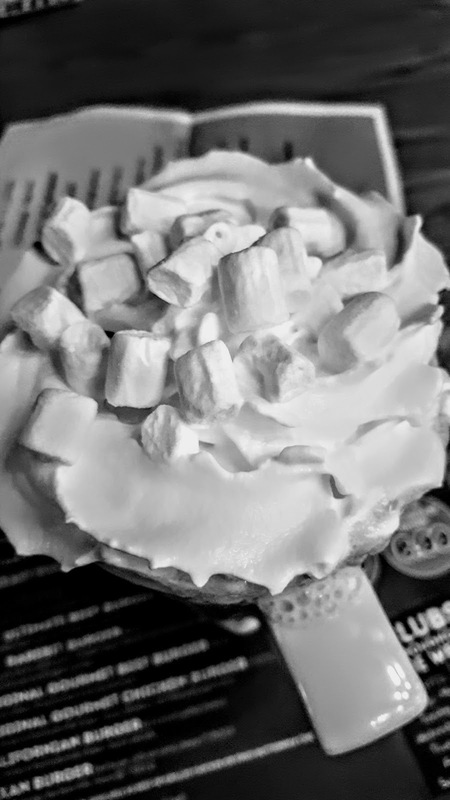 Today I am sharing a few fun photo’s in black and white. I love to edit my pictures sometimes. Hot chocolate was made for cold and miserable days, wasn’t it!? I love hot chocolate. We all love hot chocolate. Always my go to drink when I am feeling really cold. We had some much rain earlier in the week, me and the kids almost needed our swimming costumes on to run in. 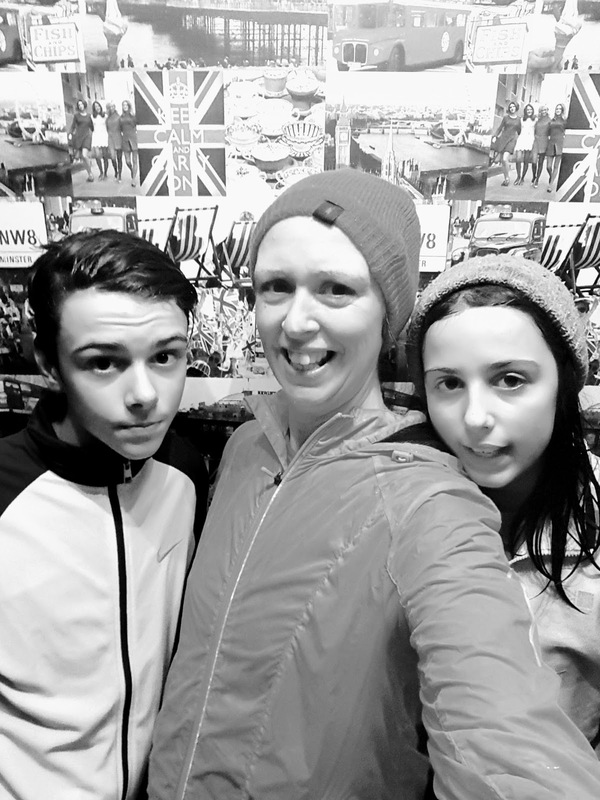 It was still pouring down with rain when they came in from school and the puddles we ran through were so deep!! It was fun at first. The faster we ran, the faster the rain came. We got wet through to the bone. One run we will not forget in a hurry!! 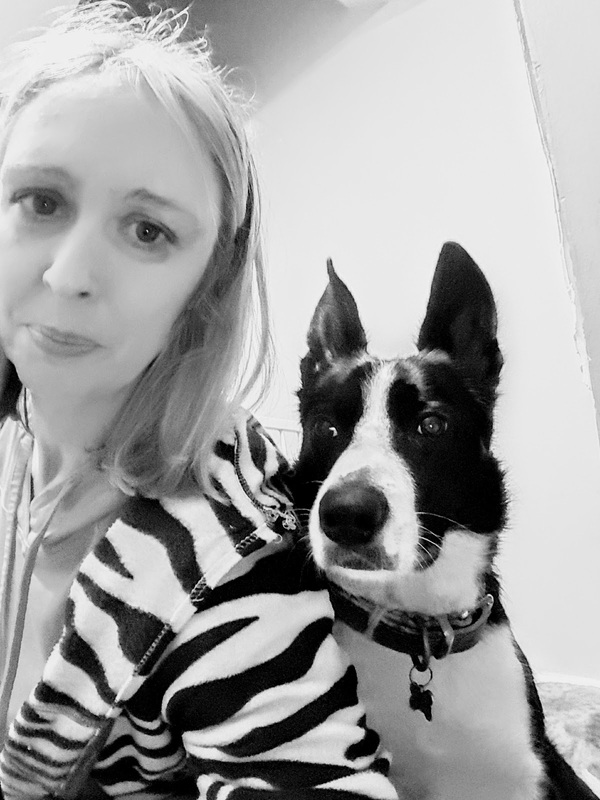 Me and Mollie.We love snuggles and selfies so here we mixed the two together. Wearing my upcycled zebra onesie here to keep me nice and warm too. 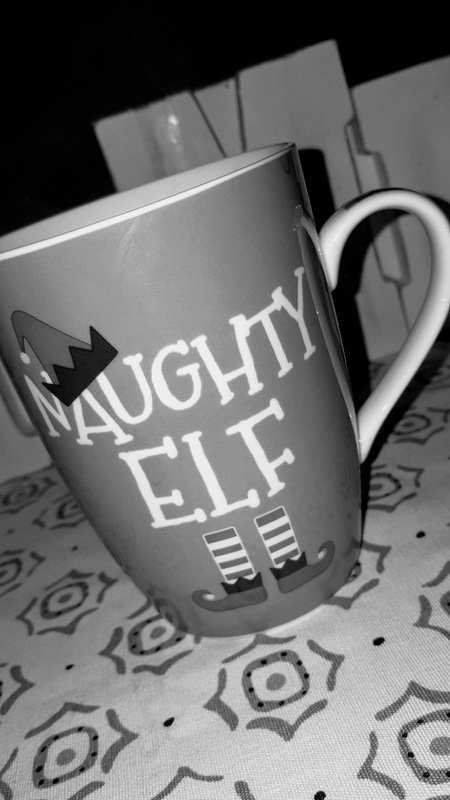 New Christmas mug!! How cool is this new mug? Naughty elf eh!? Link up family-friendly posts only. Why not enjoy yourself it is Friday!? Links can be on any topic as you would like to share. They can including recipes, crafts, decor, style, household tips, anything that you have been writing about lately. Please follow your host on at least one social media channel on the sidebar above. Feel free to add up to 3 posts this weekend. Please support your fellow blog hopper by visiting some of the other posts that have linked up to the blog hop. Feel free to tweet me your posts using the #weekendbloghop in your social media posts. Don’t forget I host 3 blog hops every week so pop back then for more linky party fun. Mondays, Wednesday and Fridays. See you again soon. "Creamy Chicken And Pancetta Fusilli With A Garlic And Parsley Gratin…"
Thank you for hosting! I've shared my Holiday Shopping Tips and Gift Ideas. So pleased to discover your blog hop! Lovely pictures in black and white. Thanks for hosting and great pics. Loving this link up! (Also love the weekend) – thanks for hosting it.. I'm hoping to discover some new blogs to read too!